Preheat oven to 350°F. 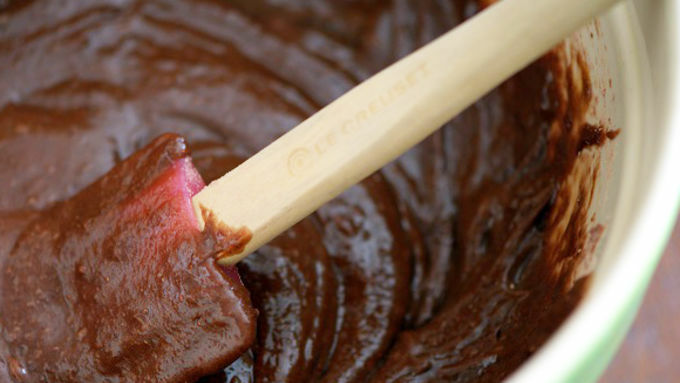 In a large bowl, combine cake mix, eggs, water and oil. 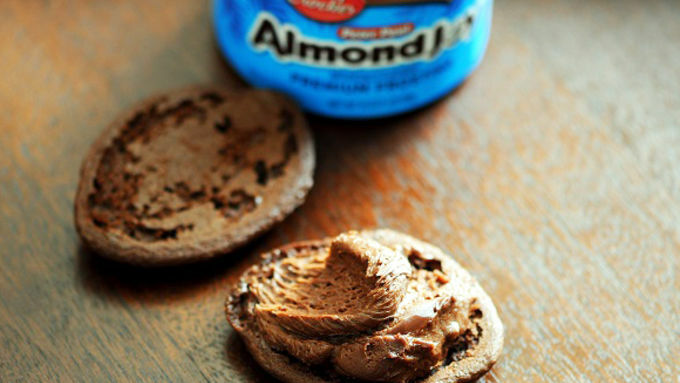 Mix together for 2-3 minutes until fully incorporated. 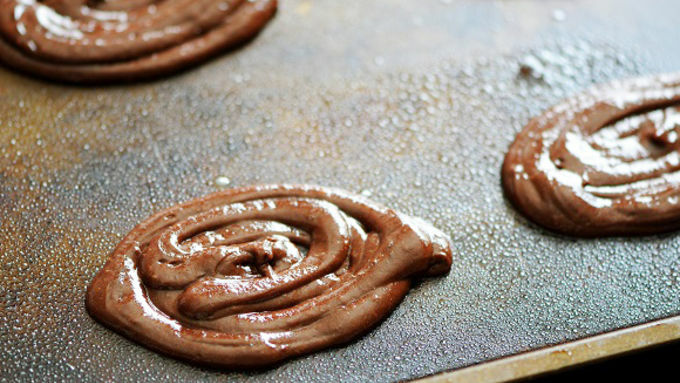 Spray baking pans or use parchment paper. 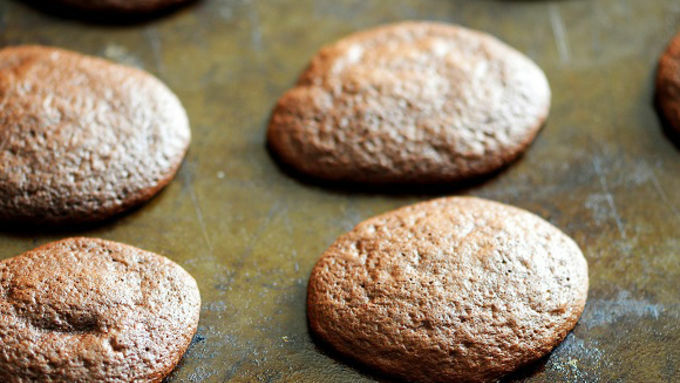 You can either spoon or pipe (I find piping is easiest) football shaped whoopie pies about 2 inches in diameter (they will spread out during baking). Fill in the outline with batter. Bake at 350°F for 8-10 minutes depending on your oven. Match up two pies by shape as best you can. Flip them so that the flat side is facing up. Spoon about 2-3 Tbsp worth of Betty Crocker™ Almond Joy Frosting on to one of the pies. 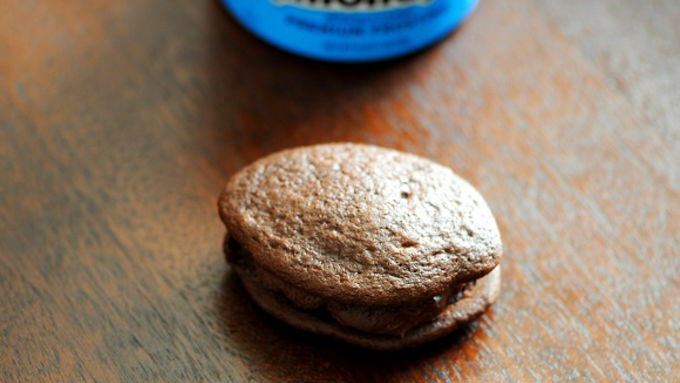 Put the top whoopie pie on top of the frosted whoopie pie. 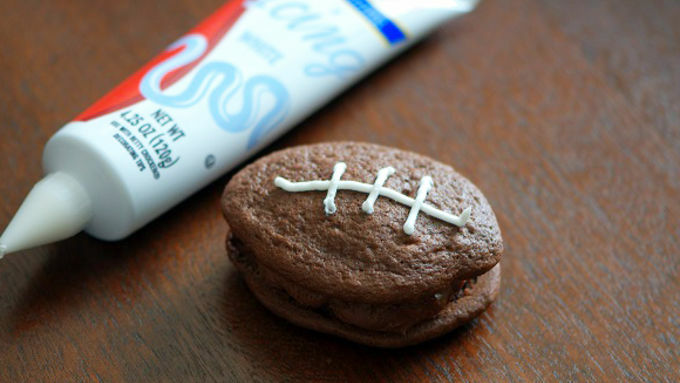 Pipe frosting lines on top of the whoopie pies to make it look like football stitching. Make these fudgy Football Whoopie Pies and you'll have something to cheer about, no matter how your team plays! We are full into football season now and hopefully you are fully into your football partying and tailgating! 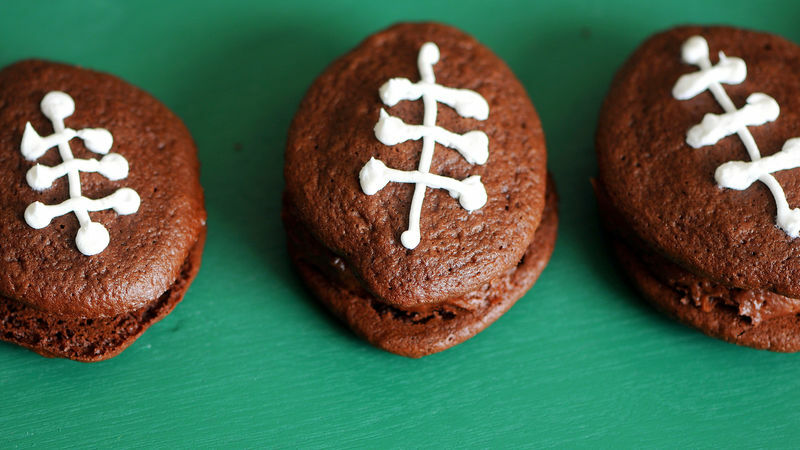 What could be more fun on game day than these Football Whoopie Pies?! They'e cute alright, but once people taste them they will be asking for them to be included in the weekly game day food rotation alongside the wings and pizza. They will become your new party staple. These are extra easy to make using Betty Crocker™ Devil’s Food Cake mix and the new and super yummy Betty Crocker™ Almond Joy Frosting (taste just like the candy bar). And, oh yes, you're SO ready for game day eating!